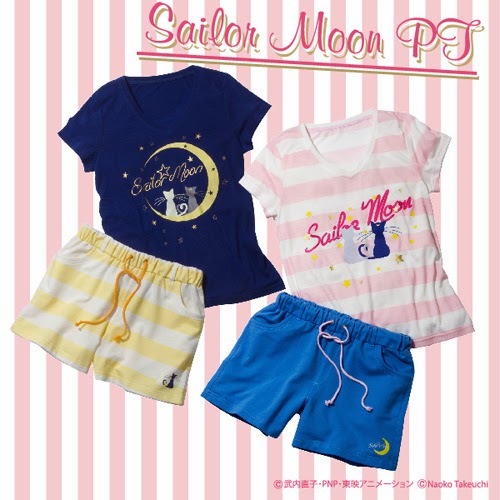 "I am Sailor Moon, I stand for love and justice. And in the name of the Moon, I will punish you." 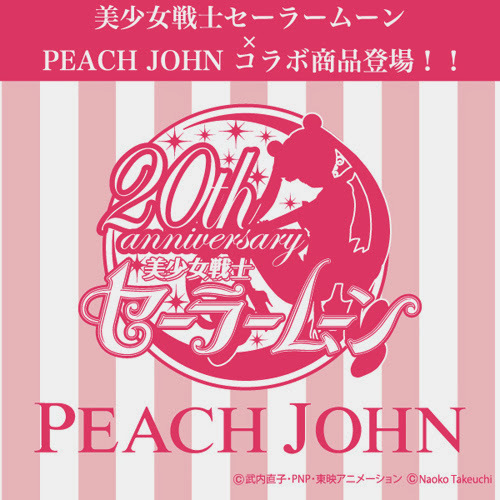 Celebrating the manga series' 20th anniversary, Sailor Moon x PEACH JOHN limited collection is now available for sale. 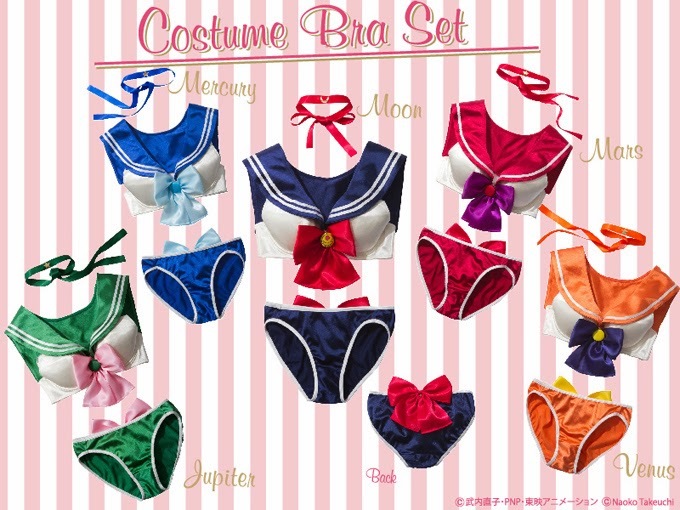 The collection features sailor warrior lingerie sets that is based on the costumes of the five main fighters, Moon, Mars, Jupiter, Mercury and Venus. Sailor Moon inspired undergarments is also available for purchase. The collection is a limited time offer until December 25th. Re-live your 少女[Shojo] dream, you know you are a champion of love & justice, in the name of the moon, get your sailor warrior lingeries here at Peach John & Bandai.